This is a very thorough look at Autism from all angles. This audiobook addresses anxiety, depression, psychosis, and paranoia. These are secondary issues that can affect people with autism. 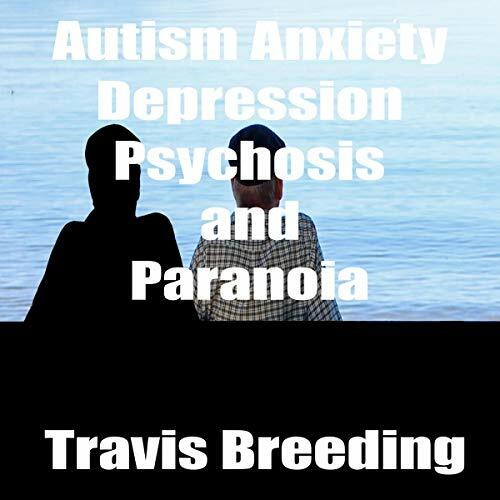 Travis provides real-life examples from his life and talks about how anxiety, depression, psychosis, and paranoia coincide with autism to present a unique challenge and opportunity in his life. Travis breaks it down and describes each secondary symptom of Autism in this amazing audiobook. Travis also explains how he has tried to mask his autism to fit into a society that doesn't sometimes doesn't understand him. Masking or hiding autism comes with a price because it creates an added layer of anxiety in trying to be someone you aren't constantly. This added anxiety can lead to increased depression and paranoia. Travis gives tips for increasing self-esteem for autistic people while staying true to themselves and who they are. Travis preaches that you can create your own happiness when you stop masking to please others and embrace the autistic self. This audiobook is an in-depth look at how the secondary co-morbid issues of anxiety, depression, psychosis, and paranoia all interact with one another to work with autism. This is an amazing tool to help autistic people with co-morbid mental health issues. It is an even better tool in helping people who love and work with autistic people understand what they go through on a daily basis.